August 2018. I have the painting below titled 'On Carroll Creek' (15 x 22 in. unframed size) in the show entitled 'A Year of First Saturdays' held at Serendipity Market and More, 14 E. Patrick St., Frederick, MD. Opening Sat. August 4, 5-9 pm. The show is sponsored by the Downtown Frederick Partnership, which puts on the First Saturday events. Box show entry. I painted in watercolor on Golden absorbent ground applied to a 10 x 10 inch wood panel. Grand Canal, Venice. The combination of watercolors and glass pieces was really striking. 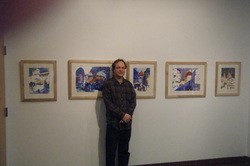 The photo below shows one corner of the show. Thanks to Johann Lowie and Doug Moulden for doing such a great job of hanging it! June 2018: My painting 'Rainy Night at Macy's' was juried into the Mid-Atlantic Watercolor Exhibition at Black Rock in Germantown. February 2017 505 North Gallery and Studio. 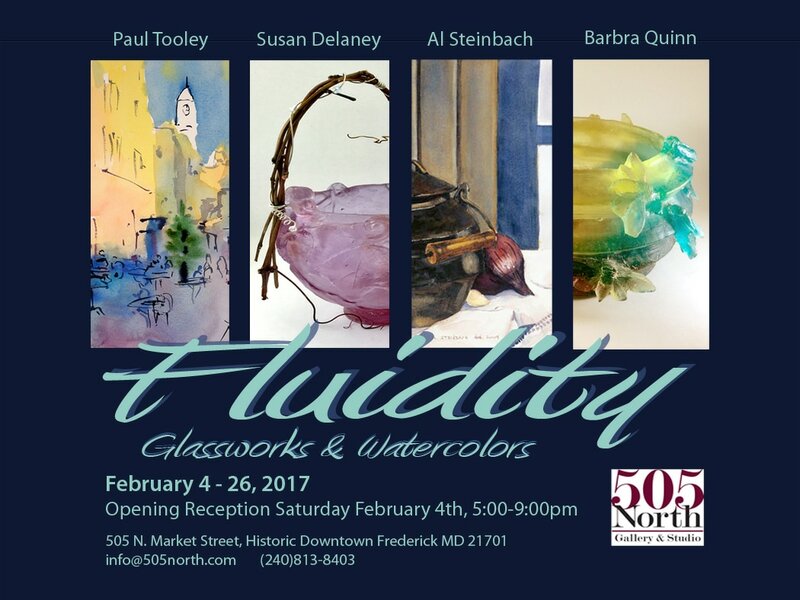 FLUIDITY show of watercolors and glassworks. Easels in Frederick Quick Draw, June 2015. Third place. 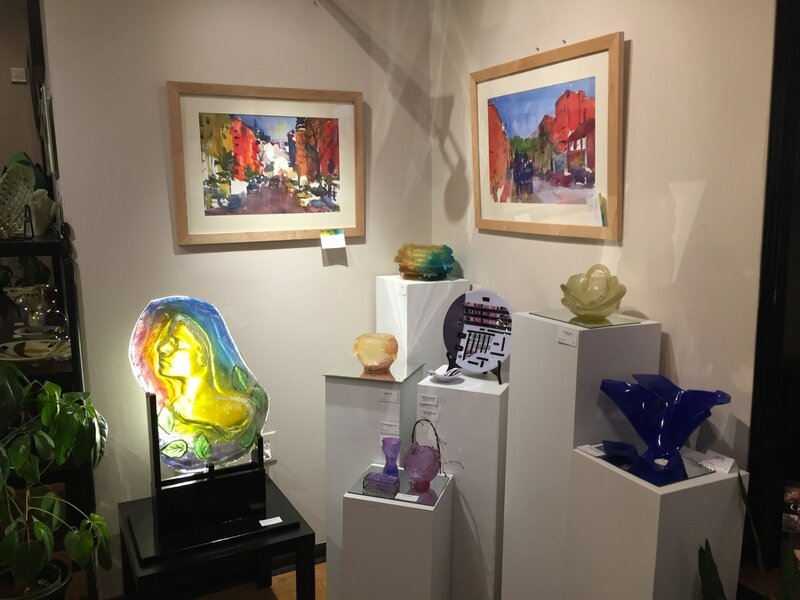 June 21, 2014 Quickdraw competition, Easels in Frederick -won 'Local Color' award and painting was exhibited in final show. June 2013 Baltimore Watercolor Society Members Show, one painting 'Ocean City Beach'.